We have a bag for everyone! Big, medium and small. Need to keep your credit/store discount cards organized? Need a coin purse or something to hide a house key and ID card while you're out jogging? Need a tiny bag for diabetic supplies, make-up, personal hygiene items? 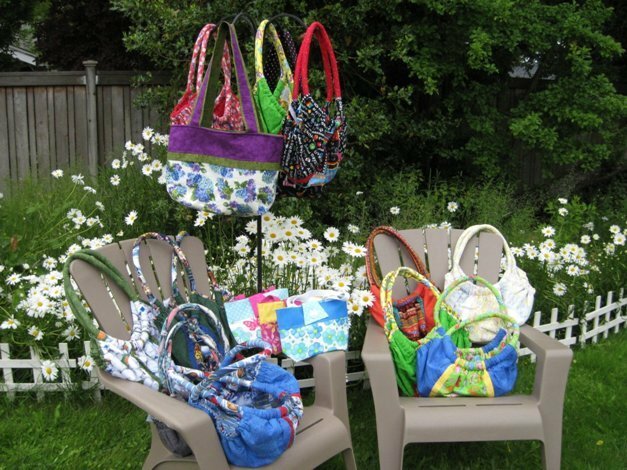 Check out our Card Caddies, Zippity Bags and Pollyanna Bags. We've got you covered!